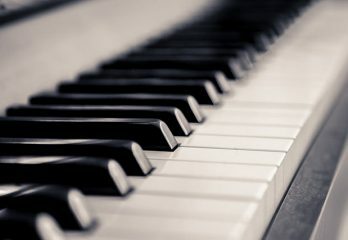 Music is to be loved, savored, enjoyed, and played by all kinds of people regardless of age. So, these days, manufacturers are making more instruments in kid friendly sizes. There are so many options these days for the parents seeking to engage their kids in a gainful hobby, e.g. drum sets for kids. We understand that it might be a bit difficult for the parent who isn’t all that into music to select a good drum set for their kid. You’d definitely need to put in a bit of work if you want to get something that’s worth your money. But hey, that’s why you’ve got us. We’ve put in that bit of work for you. We made some research and we discovered some really amazing drum kits for your little munchkin. There’s something for everyone here from high end to budget kits. Let’s get to it! The Mendini MJDS-5 ZBL 5-Piece 16 inch Drum Set is a fantastic junior drum set to begin with when shopping for a drum set for kids for your little munchkin. It comes at a pretty decent point which makes it great when you’re not sure your kid will follow through on his newly developed passion for drums. However, even at such a decent price point, this drum set is still quite excellent in the performance department. It’s more than sufficient for your child to begin exploring the concept of drumming at their age. In this kit, you find a 16 inch bass drum, a 10 inch snare, a 10 inch tom, as well as a 9.5 inch cymbal. As the brand advertises, this set is for kids specifically those between 2.5 feet and 5 feet tall. So, once your baby maxes out of this height zone, you should be thinking of an upgrade. However, in the meantime, this is an excellent place for your kid to practice coordination and time keeping. Also, in this kit, your kid will be getting his very own pair of drum sticks as well as a drum throne. Now, of course this drum has a few drawbacks. For instance, it’s not as sturdy as other drum sets for kids. Also, it only comes with four tuning lugs whereas some other junior drum sets come with 6 tuning lugs. However, 6 tuning lugs might not exactly be necessary right now for your kid. We also found that the attention to detail on this drum might not be as keen as on other higher priced drum. But then again, at a sub-$200 price point, this drum set is such a steal, we find it hard to fault it. Comes in a wooden construction. 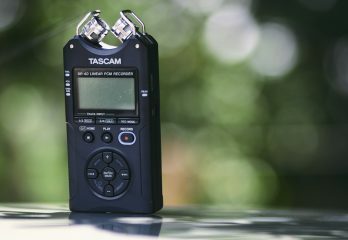 Somewhat easy to tune for enhanced better sound quality. The drum set comes a little smaller than you’d expect. Bass drum isn’t the best out there. The GP Percussion GP55BK is another excellent drum set for beginners. It is best for beginners especially for those between 4 and 8 years. GP Percussion did a fine job on this kit with the wooden construction and tunable drum heads. You’ll be able to make this drum set sound really good in the right hands. In this set, you find cymbals, snare drum, toms, floor toms, as well as a kick drum. There are also two cymbals as well. Plus this set also includes hardware as part of the package. There’s the drum key, drum sticks, the bass drum pedal. So, in this package, your child will be getting everything you need to begin playing his drums. Now, you want to keep in mind that this is an entry-level drum kit. The drum heads are not so bad. However, you can’t expect them to sound professional. And same goes for the cymbals. Nonetheless, we must mention that for a junior drum set, these parts will suffice. Well, until you’ll need the upgrade. As we mentioned earlier, this is a drum set for children between the ages of 4 and 8 years. So, if you have a kid of that age expressing some interest in drums, this drum set will serve. It’s a reliable drum set as it boasts a solid construction that will last through your baby’s abuse. In quality, we will put this drum set within the same range as the Mendini MJDS-5-BL 5-Piece 16 inch Drum Set. However, it’s slightly more expensive than the Mendini. So, you might want to keep that in mind when checking out this drum set. You get everything you need to begin playing immediately in one kit. There are two different color options to pick from. Drum heads are just basic. Would need upgrading. Not enough detail in setup instructions for easy assembling. 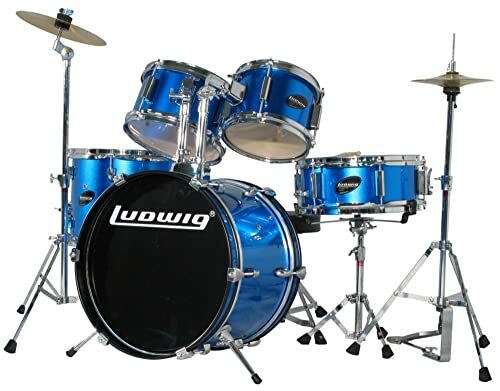 The Ludwig Junior 5 Piece Drum Set is another really good drum set for kids. 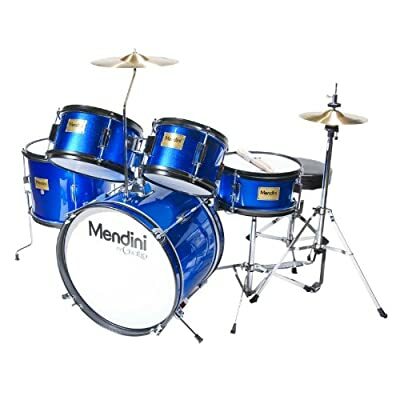 We’re not entirely sure this drum set is much better than a Mendini. Well, the reason we say this is that when it comes to drums, everything practically rises and falls on the tuning. Once tuning is right, you can always get a marvelous sound from almost any drum. Alright, what’s up with this drum? Well, for one the drums are good enough for most beginners. They don’t sound excellent, sure. 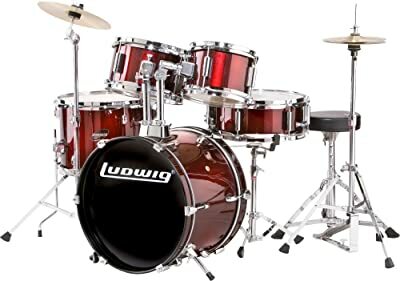 However, it’s not particular to the Ludwig Junior 5 Piece Drum Set. The cymbals and hi-hats do sound pretty bad too. But again, we’ve got to mention again that this problem isn’t peculiar to Ludwig. It’s a general problem with drum sets for children. Well, your child will probably not even care what the drums sound like. At least, most students we know don’t really care as they are out for the fun and learning process rather than how they sound. Of course, sound will begin to matter to them as they grow. But for now, it’s not high up the list. So, here’s why we think this Ludwig does really well in our books. Its hardware is pretty sturdy and durable. Plus, it also comes adjustable. The cymbals are also slightly better than most other cymbals we’ve seen so far. That’s not to say that they are excellent though. This is a complete drum set for kids from a respected brand in the industry. It comes with everything you kid needs to begin drumming right away. There are drum heads, an adjustable throne, cymbal pedals, as well as drum sticks. Sounds pretty decent for a junior drum kit. Cymbals and hi-hats are quite low quality. A little overpriced in our opinion. 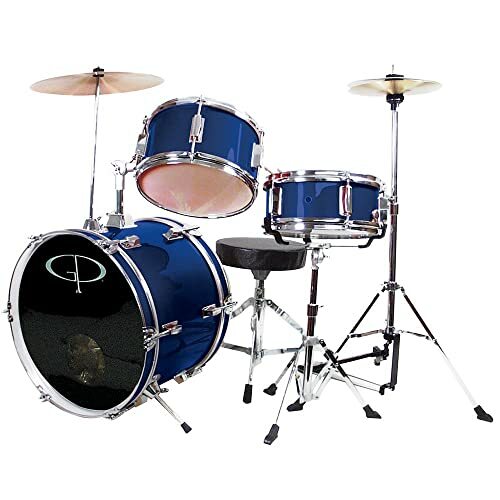 Check out the GP Percussion GP50BL Complete Junior Drum Set. This is a 3-piece drum set so understandably, we’re kinda skeptical about this set. We’re not entirely sure that this set is enough for your kid to master their drumming. Anyway, let’s still have a look, shall we? For one, it is decently priced which is, of course, to be expected since this is a 3-piece drum set. But then again, this will quickly leave the passionate youngster dissatisfied as 3 drums are just not enough and you’d have to spend a little more to expand this set or get a new one altogether. But then again, we think this was GP Percussion’s attempt at making a budget junior drum set. The brand carries a 5-piece set which costs slightly higher than this model of course. So, if your child needs a little more, then you might want to buy up. Now, in construction, GP Percussion does pretty good. This drum set will stand up to all kinds of abuse that children are famous to bring. Another reason we really love this drum set is its space-saving small foot print. Since the crash cymbal and the hang tom drum are on top of the bass, the drum set comes quite compact. So, if you’re tight on space at home, this might make a nice compromise. This package contains a rack mounted tom, a bass drum and a floor tom. For cymbals, this comes with a 10 inch cymbal and a hi-hat. 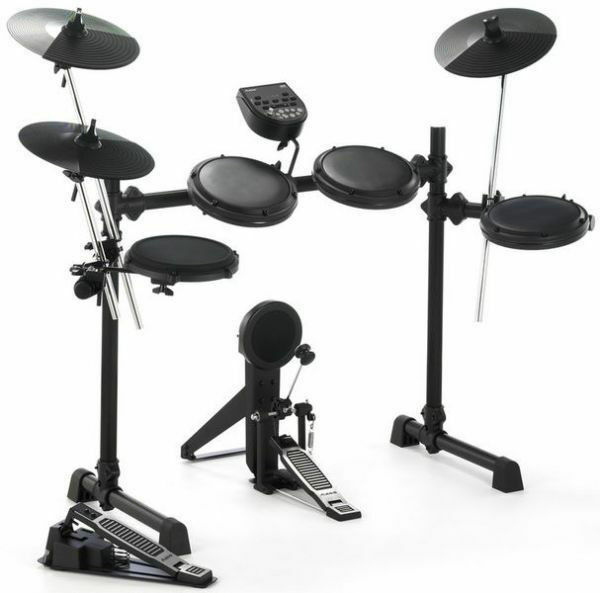 Hardware includes drumsticks, drum throne, and a drum key which helps you tune your drums. Compact size is great for small spaces. Does not come with a floor tom drum. It’s not easy to assemble this kit. 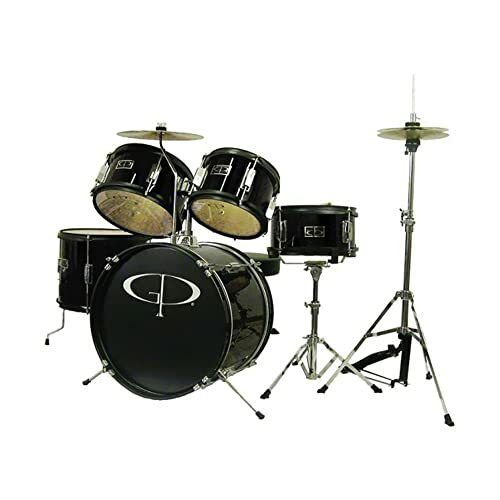 This is another 5-piece option if the GP Percussion GP50BL Complete Junior Drum Set isn’t enough for your kid. 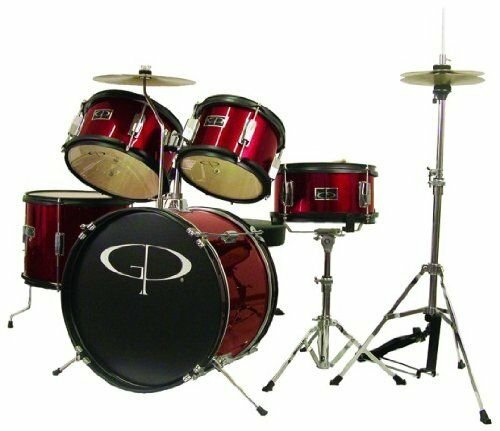 This 5-piece drum set from GP Percussion is nearly the same as the GP Percussion GP55BK 5-Piece Junior Drum Set. Let’s see what’s here for us. This kit comes with two rack toms, a snare, a floor tom, a hi-hat, and a cymbal. So, this is your regular, everyday standard drum kit. And for a standard drum set, we’ll say this is pretty affordable. It’s only a few dollars more expensive than the last 3-piece set we just reviewed. If you ask, we’d tell you to go for this rather than the 3-piece since the price difference isn’t even up to $20. It might pay you better in the end. Okay, the hardware here is also pretty good. 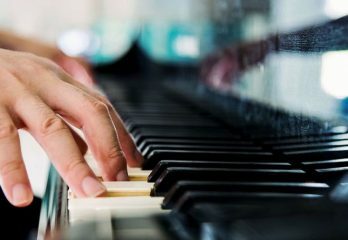 There is a drum key to help tune your drums to perfection. Small ish though, there are only 4 lugs here. This isn’t a big deal for the beginner. But just in case the beginner has professional drummers as parents, it might be a small challenge. With the variety of drums in this set, the young drummer has a whole range of sounds to experiment with. They might not be ready for it just yet but it’s nice to know that whenever they are ready, there will be enough to keep them satisfied. At least, until they need the upgrade. There is a selection of color options for the kids here even though we don’t understand why the blue is more expensive. 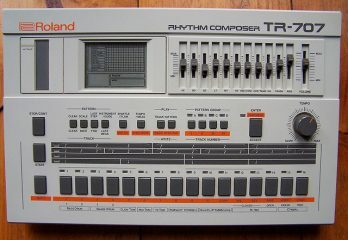 Comes as a complete drum kit at a decent price. 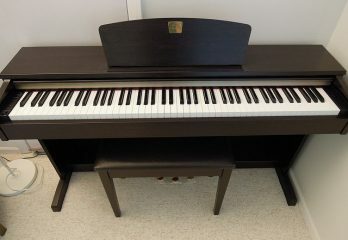 (Same price as some 3-piece drum sets). Everything your kid would need to begin playing out of the box. Drum heads are fully tunable. Makes a good step up from toy drum kits. Bass drum pedal mechanism comes with fabric. A bit too complex to set up if you’re a non-drummer. This 5-piece drum set from Gammon Percussion is another great choice for beginner. It’s more expensive than most other drums we’ve seen so far. We won’t call it a budget drum set, so we understand that many parents might be hesitant to check this out first. These drums come from genuine wood which assures you of sound quality and durability of the drums. It might not sound like an adult drum, sure. Nonetheless, the sound quality is more than sufficient for the kids. This kit comes with everything you kid needs to begin playing right out of the box with. 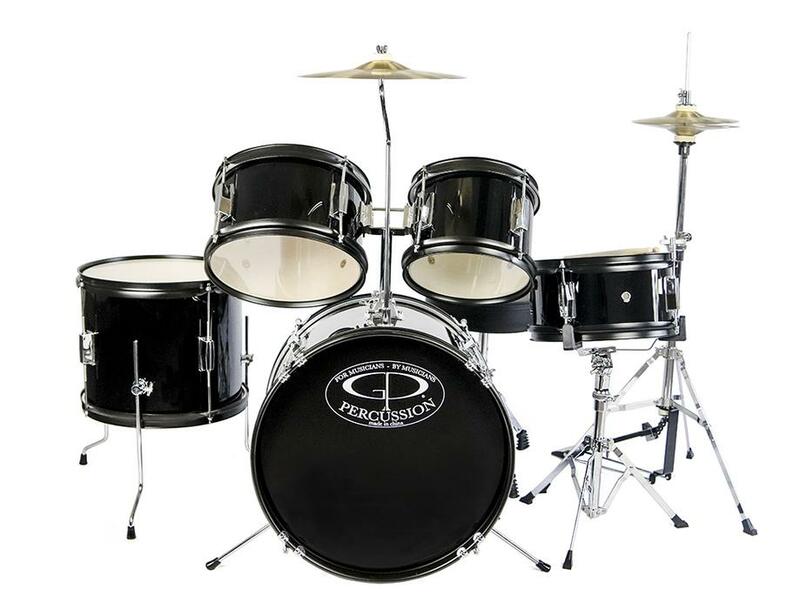 The high gloss, black finish of this drum set is also beautiful and attractive. We’re not sure about the availability of color options here though. 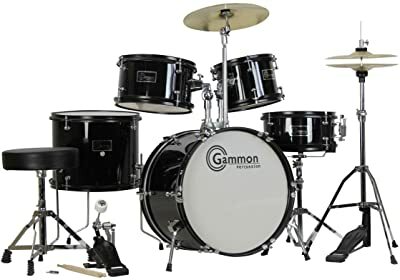 The Gammon Percussion Complete 5-Piece Black Junior Drum Set is pretty sturdy because the wood shells here are genuine. We also found this drum set pretty easy to set up. It’s just intuitive really and the manual helps matters. It comes with mounted cymbals, a floor tom, and a hi-hat stand. So, your child will be able to achieve a wide range of sounds. This set comes with everything to begin drumming out of the box. For the quality, this is good quality. Parts are easy to get from the manufacturer. The Alesis DM6 USB Kit as you can see is somewhat different from the other drum kits on review. It’s an electronic drum kit whereas we’ve been checking out acoustics so far. 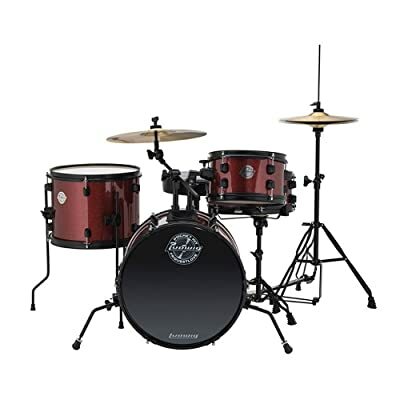 Of course it costs a lot more than the other drum sets on our review. But then again, it’s not for everybody. The major benefit of an electronic drum for your baby right now is that they get to practice all they want without necessarily disturbing the peace. 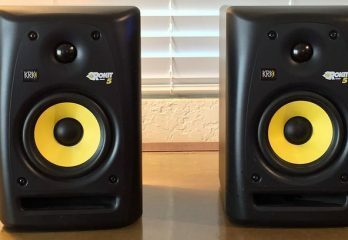 So, if that’s what you dream of and you can afford the extra couple of hundred dollars extra, then go for the Alesis DM6. It’s relatively easy for the beginner to navigate their way around this drum kit. There are about 108 different sounds here with presets ranging from rock, pop, jazz, etc. you also get 5 spaces to upload your own sounds. Seeing the complexity of an electronic drum set, therefore, we recommend this for older kids. They will appreciate this kit a lot better than the younger ones would. Your kid will also find it fun to see that this drum set is compatible with Xbox360 and Playstation. They can practice by playing Rock Band and still get to have fun. 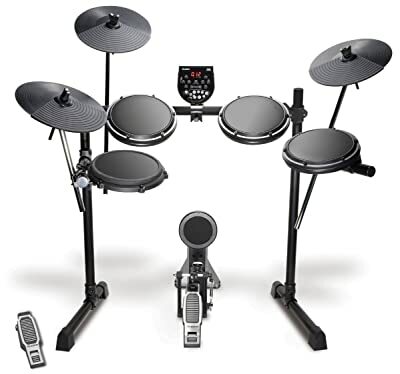 One of the most inexpensive, yet good quality electronic drum sets in the market. 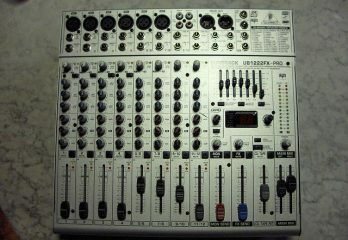 The module is quite easy to operate. Comes with a double bass pedal. Might not be ideal for younger kids. More expensive than acoustic drum sets. The Ludwig Questlove Pocket Kit is durable and sounds pretty good. It’s great for children between 4 and 10 years of age. It’s a nice little drum set that you can play as a cocktail kit, that is, a portable drum set. We think Ludwig did a fairly good job creating a drum set that gives young drummers a full-scale playing experience. This drum set gives a perfect quality/price balance that fits the budgets of most parent. This drum kit is super durable with its genuine hardwood shells. It will definitely last no matter how much abuse these drums. And you know kids can be a bit rough with their drums when they are having fun. This might be a teeny drum, but it does pack a huge punch. Your kid will enjoy this drum set and it will last. This kit comes with everything you need to begin drumming . For the price, the sound of these drums is quite good. Comes with an instructional video. It’s a small and compact drum that works for tight spaces. You’d have to upgrade the drum heads to get a better sound. The Gammon 5-Piece Junior Starter Drum Kit is another big boy drum set. 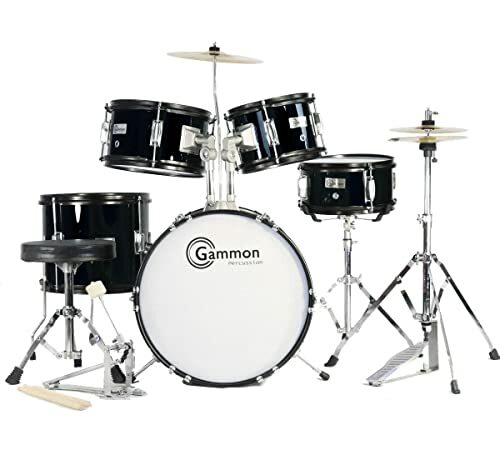 It is great for all children and could even work for drummers who are over 5 feet tall. So, if your kid is clamoring for something bigger than a small boy kit, you can upgrade to this. It’s a great practice drum set and it sounds pretty good. This will definitely encourage your youngster to practice on their drums as much as possible. And no matter how often and how roughly they play this drum kit, you can be sure that this will remain intact. We love the quality of wood used to make this drums. Then there are also metal stands which help to reinforce the structural integrity of the drums. However, be careful though as constant assembling and reassembling could cause the hardware to fall apart quickly. You’ll get this drum set well tuned when it arrives at your doorstep. In all, it’s a pretty good drum set and looks really good too. Can also work as a starter kit for adults. These are sturdy, wooden shells. Seat is small and feels uncomfortable. The Ludwig Junior Outfit Drum Set is a complete 5-piece drum set. There’s a snare drum, two mounted toms, a floor tom, and a bass drum. The drums come from multi-ply real wood frame, it is then covered in high quality acrylic and plastic. It’s quite easy to set up this drum, especially with the easy instructions included. The hardware and mountings are quite sturdy, well made and easy to put together. You’ll find hi-hat stands, tunable heads, two cymbals, a junior throne, as well as a chain-driven pedal. You also get drum sticks as well. However, it won’t be good enough for kids that are older than 10. If your kid is older than 10, consider getting something else. The sound is quite good. 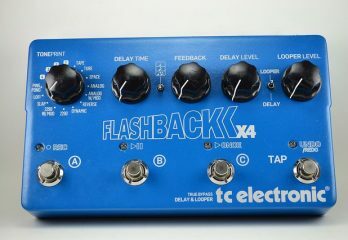 In fact, it’s so good, you will hardly need to keep retuning this drums. 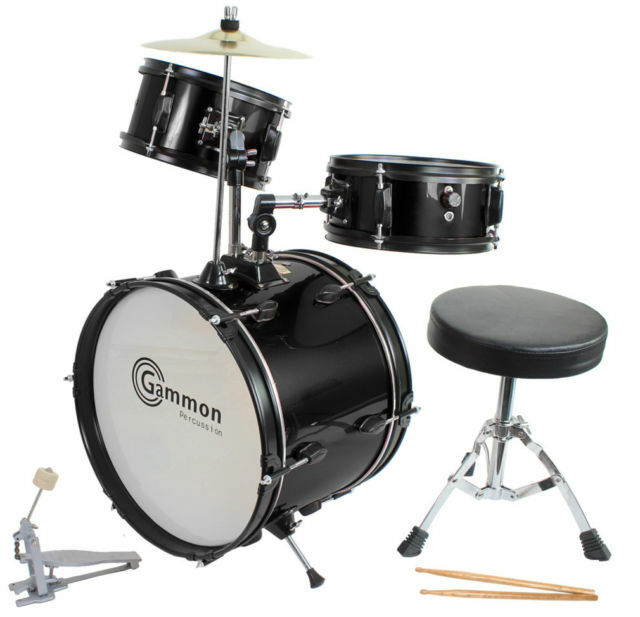 It will also definitely motivate your kid to keep playing since as they will have loads of fun on this drum set. Professional level children drum kit. Tuning range of drums are large. Cymbals and hi-hats are not high quality. Okay, we’re going to be running a quick crash course on drums as a whole. This way, you’d understand the basics and can now decide on what you want for your child. We’re going to be discussing the different types of drums there are, drum kits, and, of course, cymbal types too. Alright first, let’s see the three different drum types in a drum set. At the center of any drum set is the snare drum. It lends the backbone for most fills and gives the strongest regular accents as well. To create a snappy yet buzzing sound, manufacturers usually fit their snare drums with snare wires. If you’re right-handed, you’d play the snare drum with your left hand. They are also known as tom-tom drums, and most times, a drum set could contain as many as 3 of them at a time. For most fills and drum solos, tom drums do the bulk of the work. Now, there are four different roots when it comes to tom drums. They include the double-headed rack toms, floor toms, rototoms, and concert toms. If a drum does not feature snare wires, for example octobans and gongs, such a drum is considered a tom drum as well. Bass drums are also known as kick drums. As their names suggest, they are low pitched and their basic function is to give the basic beat or timing using pulse patterns. There are different ways drummers use the bass drum. Some people use more than one bass drum at a time. Others might decide to for a single kick drum but then use a double bass drum pedal. It really depends on you. Beginners, though, might be better off with using the double bass drum pedal option. Moreover, double bass drumming is more common in music genres like heavy metal. However, to save space and reduce transportation challenges, most opt for using double bass drum pedals. Besides these main types, there are other drum types in a drum kit. The purpose of such drums is to increase the pitch range of the kit. The manufacturers make that happen by increasing the diameter and depth of such drums in question. Good examples are the octobans/deccabons/rocket toms. Timbales are also another good example. They also come in a higher pitch range than toms, and you play them with really thin, light, non-tapered sticks. They are quite delicate when compared to toms because of their really thin head. Plus, they also give a tone different than that of toms. However, most drummers who use timbales are those who like their toms with a higher range. Anyway, it is still possible for you to fit timbales with tom heads, and you can also tune them down such that they come out sounding like shallow concert toms. Now gong drums… Gong drums are quite similar to kick drums with a diameter usually ranging between 20 and 24 inches in diameter. These single-headed mountable drums function pretty much the same way as floor toms. The cymbals are those rounded plates you find hanging on a stand. They are made from metal alloys and striking them usually brings a climax to the song in most musical arrangements. Here are the different types of cymbals there are. Drummers use ride cymbals to maintain a constant rhythmic pattern. Usually, many drummers tend to favor a single ride cymbal. And because ride cymbals are frequently used, you have to locate them within playable range. The commonest ride cymbal size is the 20 inch diameter cymbal. 20 inch cymbals are medium weighted, neither too lightweight nor too heavy. They also have the ability to cut through other kinds of sounds. Hi-hat cymbals, or simply hi-hats come in two parts. So, what you have is two cymbal plates facing each other on a metal pole. Then there’s a foot pedal attached to the pole which causes the two plates to strike each other when you depress it. You can play the hi-hats using the foot pedal or you could also use sticks. When you use sticks, you can achieve different sounds from opening hi-hats and closing hi-hats. When it comes to climaxes and crescendos, mood changes, and vocal entries, crashes are your best friend. They are your best option for the strongest accents. Usually, you play them with hi-hats or ride cymbals. They tend to get loud, however, there are special crash/ride cymbals which still give a good crash but at lower volumes. Breakables: These include the cymbals, sticks, throne, snare drum, and the pedal for the bass drum. Shells: These include the tons and bass drum. Extensions: Here’s why we find the chimes, tambourines, and cowbell. Hardware: Include drum stands, pedals, and cymbal stands. Now, this is the tough part. Getting a drum set for your child can be somewhat tricky for many reasons. The major challenge though is that there are many toys out there. All in the name of “junior drum sets”, many manufacturers parade useless toys which will not help your child master any skill at all. So, it goes without saying, some junior drum sets you’d find are useless toys. instead of looking for any drum set labeled “junior”, you might, instead, want to consider something else first. The most important thing you want to consider is if your child can conveniently reach the cymbal and bass drum pedal as they sit on the drum throne. We mentioned these two parts because they are the highest and lowest points of a drum kit respectively. Also, generally, drum sets for kids are best for children between the heights of 2.5 feet and 5 feet. Anything higher than 5 feet, they will squat and so should get an adult kit. Anything shorter and they’d have to stretch unnecessarily. That’s got to be quite uncomfortable. Of course you’ll find dirt cheap drum sets but does that mean you should get one of those? Well, it might be tempting to the non-initiate. However, someone who’s in the know can tell these drum kits for what they are from a while away. Most of these drum sets come as a 3-piece kit which means literally everything is missing here. Really, what can you have in a 3-piece drum kit? There’s just too much missing to even call it a musical instrument. Except you’re buying it specifically as a toy, such kits won’t help your child build and internalize any drum skill. So, from the get-go, your child is already missing opportunities to pick the right motions. It’s very simple. Just change out the heads of the drums and get new cymbals. If you can’t do both, at least, do one. Now, this isn’t absolutely important for a kid just yet. However, if your child begins to get really good and is still too little for an adult drum set, that’s a way you can remedy that situation. 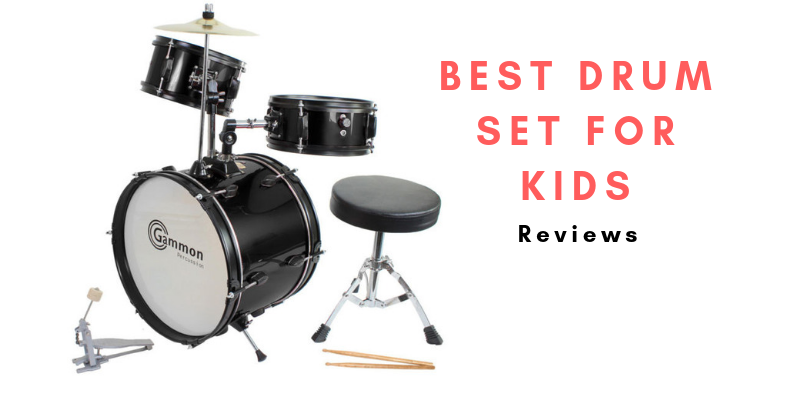 Although pretty expensive, the Ludwig Junior Outfit Drum Set seems to be our favorite drum set in this review. It’s like the professional of the children drum sets currently in the market. It’s a bit high end though but it’s worth it.